Some people enjoy eating pumpkins. On the other hand, others remember pumpkins only on Halloween! Personally, I use them occasionally but as they have a certain exotic and healthy appeal, I am lately trying to introduce them more into my healthy diet plan. In my view, pumpkin is yet another super food that is rather neglected, despite its numerous health benefits; for example, pumpkin is beneficial for our heart, eyes and skin. Pumpkin can even boost and support our immune system. It is unbelievably rich in nutritional value as a post-workout food that is sweet and tasty and so easy to prepare. There are so many ways in which you can prepare and consume pumpkin; it can be added in salads, stirred fry with meats, washed and sun-dried pumpkin seeds can be consumed as an evening snack (to get the maximum flavors going on, you can toast the seeds in some olive oil and herbs). What is more, you can create delicious deserts from pumpkins (vanilla crumb pumpkin cake, pumpkin pie, pumpkin cookies for vegans), make creamy puree of garlic and pumpkin, make a variety of exotic pumpkin soup recipes (for example, soup of cinnamon & orange and pumpkin, creamy soup of pumpkin & apple or a soup of cinnamon, coconut & curry ). Thoroughly wash, clean and cut a piece of a pumpkin (approximately 300 gr) and dice it with a kitchen knife. Peel off the potatoes and after washing, cut them in small pieces, together with the peeled and precut onion. Firstly put the cut onion pieces into the preheated oil and stir fry; then add the diced pumpkin and potatoes, together with herbs and spices (if you don’t like cinnamon too much, then simply add a dash of it, otherwise you can use ¼ of a teaspoon, together with some black pepper). Add warm water slowly. Then put the powder of bouillon to the consistency. Let the soup boil and simmer for 30 minutes. Use a blender to get a creamy soup consistency (it is better to use a stick blender because can use it to blend the ingredients directly in the pot). After the soup has been blended enough, eventually add the cooking cream (if necessary, add more spices and herbs according to your own taste). 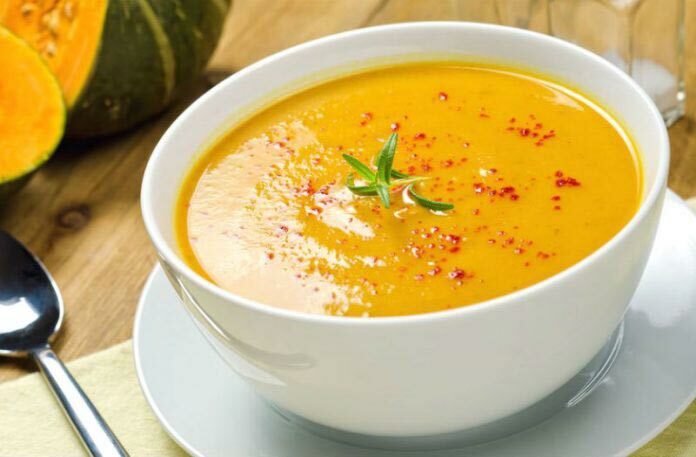 If you want the soup to have more exotic and special taste put the orange zest– and at the end, stir to mix all the ingredients. When all species and the cream is added the soup is ready and there is no more need to boil. The soup will smell and taste perfectly! When you will make this soup you are at a level of any old, good recipe of a chef. As a small suggestion for your palatable, heavenly experience, toast some garlic and olive oil bread to go with your comfort and creamy pumpkin soup that you will enjoy either in summer time as a dinner time treat or in fall, at your, cozy Halloween porch! Vitamin B1 Mosquito Repellent – Be Mosquito Free All Summer Long!